Talk about a big company! 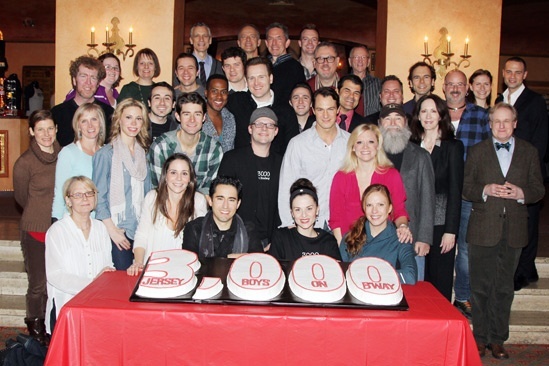 The Jersey Boys company steps in to mark the hit show’s 3,000th performance. Cheers, Boys!